In 2015 I read and reviewed Our Endless Numbered Days, the debut novel by Claire Fuller. 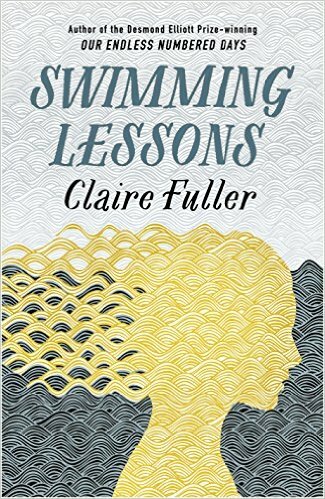 I enjoyed much about this book, but with some reservations, so was really keen to check out her latest book, Swimming Lessons. Sometimes when books flit back and forth in time I get frustrated and find myself leaning towards one section of the book over the other. But this wasn’t the case at all here. The present day sections complemented Ingrid’s letters perfectly, and I liked the way it enabled us to build up a much rounder picture of the dysfunctional family – and find out many secrets the two sisters are not party to. Finding out about the past definitely helped not only to fill in some of the gaps, but also to alter the reader’s perceptions of the events taking place, and of one character in particular. In the present day, I enjoyed the relationships between the different characters and despite the seriousness of the letters, these sections were sometimes more light-hearted and worked as a good contrast to the heavier stuff – for example Flora’s little comments about Nan’s blossoming relationship with another woman, and a scene where two characters get “high” from an unlit joint. I thought this was an excellent book and it has the right mix of elements for me – mystery, sadness, humour – and an interesting island location thrown in for good measure. Now I’m looking forward to Fuller’s third novel! I recently downloaded this book, and now I’m eager to grab it…and soon. I love mysteries and secrets within families. Thanks for sharing.